Companies that are providing online applications face a challenge as they grow, dealing with the expense and time required to support the storage infrastructure that supports their application. Many online application providers start with either a simple direct attached storage system or outsource to a cloud storage provider. As they grow and add customers they need to decide if they should continue down these paths or if it is time to bring in a storage system designed to meet the needs of the online application organization. 3. 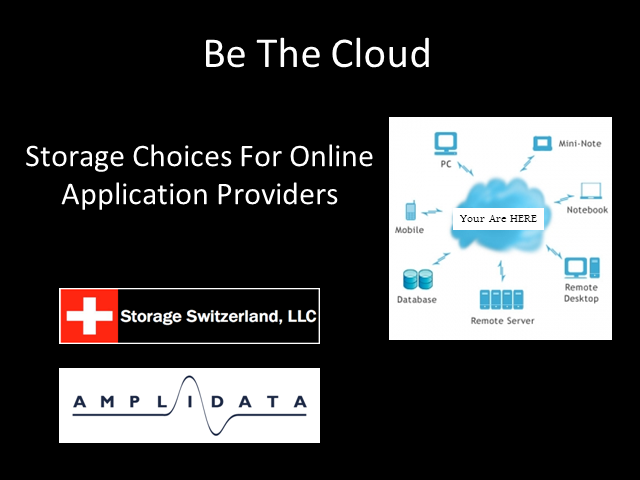 How Amplidata’s Optimized Object Storage (OOS) meets the storage requirements of today’s online application provider.